Welcome to Mad Hot DanceSport! Our mission is to bring the joy and exhiliration of dancing to low-income primary school students in the Bay Area through quality dance instruction. 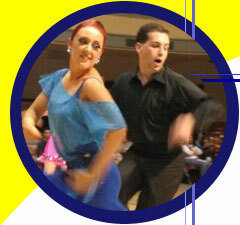 Our founders, Julia and Ryan Minson, were inspired by the New York City program featured in the movie Mad Hot Ballroom. We are teaching classes at East Palo Alto Charter School and have affiliates in schools in San Jose and throughout the Bay Area. We're always looking for more volunteers to help with our classes or to start similar classes in other schools. We also gladly accept donations to help us pay for costumes and outings for our students. Please email info madhotdancesport.org if you can help!